You've reached the web's best wooden toy sale. Have a favourite wooden toy in mind and looking for the best possible price? 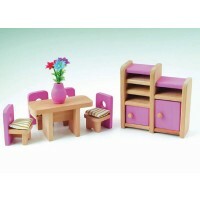 You'll find all WoodenToyShop.co.uk's discounted and for sale toys in this section. See something you like in our clearance items? Snap it up! We like to reduce prices when stocks are limited or lines have been discontinued, so be careful you don't miss your chance; toys at prices this cheap don't stay on the shelves for long.